We were recently asked by a Swan 44 to provide a spinnaker sheet tweaker system for the boat. 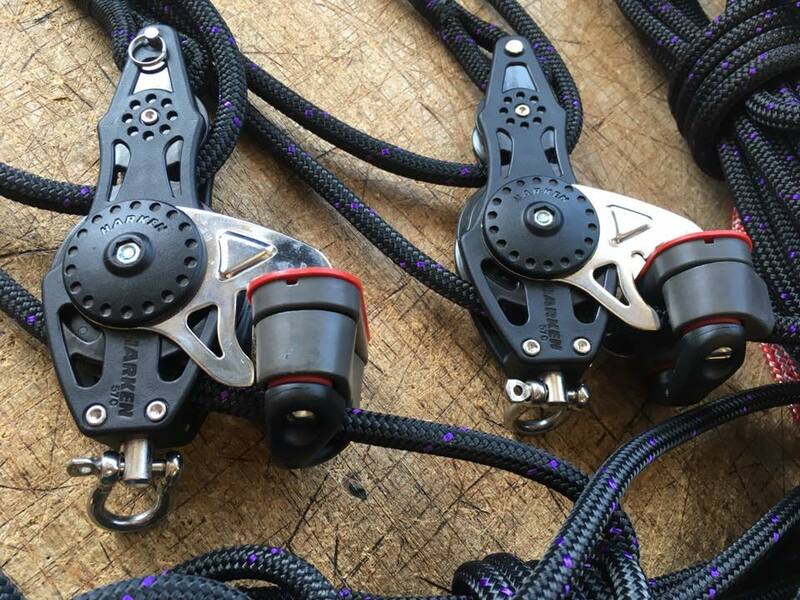 We designed this 4:1 purchase system with Harken hardware. The top block was Harken 57mm teardrop block with a ferrule. Purchase system made using 57mm Harken Carbo Range. The bottom block attaches to the toe rail using a soft shackle. The system was finished with a length of 8mm Performance Cruising Braid spliced into the block. We were also asked to supply hardware for the boat’s existing Vang system. The brief was to stay in keeping with the boat’s age. We selected Harken Midrange equipment, providing high load ball bearing block with a classic look. We used the customer existing braided rope to complete the system. The customer specified the cleat to be at the top of the system to allow it to be released from the cockpit when the boat is racing offshore. The result was a very smooth, easy to use system. A major upgrade from the existing plain bearing blocks!